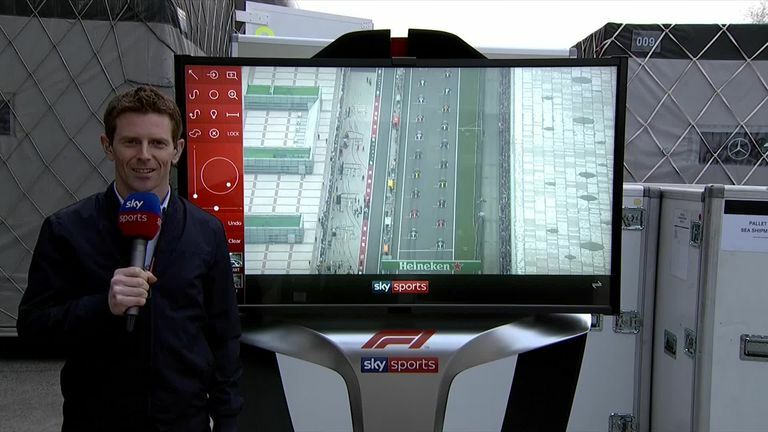 There were plenty of changes of position on the first lap of the Chinese GP and Lewis Hamilton went on to win thanks to his quick getaway - and Ant Davidson is at the SkyPad to analyse all the starts in a Sky F1 special. Hamilton got ahead of Valterri Bottas, who struggled with wheel-spin, off the line, while Charles Leclerc also launched past Ferrari team-mate Sebastian Vettel, a position change that was reversed 10 laps later with Ferrari's team orders. Ant looks at the top four's start, as well as seeing just how tight the rest of the pack were - noting that Daniel Ricciardo almost tried a move on the man who replaced him at Red Bull, Pierre Gasly. Watch the video by clicking play on the clip at the top of the article.